Old Filth has almost nothing to do with filth but, rather, is the life revisited of a British attorney who Failed in London, Tried Hong Kong. Sir Edward Feathers’ history begins the day his soul dies, not in a courtroom, not in his childhood as an orphan of English empire, but on the day he and his wife Betty fail to execute their wills. Their own lawyer having missed the appointment, he and Betty return to their retirement cottage in the country, each with his and her own thoughts, unfortunately dwelling on slights received from the other, when – Betty dies in her garden. For the first time in his life, Feathers must consider what Betty has been to him in their long and childless marriage. He begins by blaming her for dying and thereby leaving him to cope on his own with the remainder of his life. An orphan whose own parents had more or less abandoned him to English boarding schools from their post as administrators in Malaysia, Feathers reminisces about his own life, his primary school, friends lost in the war, a narrow escape, a life that no matter how fortunate he was, he views as a series of abandonments. And, at the end, he cannot understand why Betty had been so unhappy over the news that the son of his bitterest, most longstanding adversary, had died. 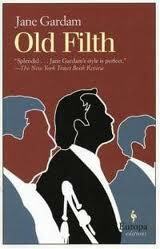 Standing alone, Old Filth was a finalist for the Orange Prize, one of the most prestigious awards in literature. However, Ms. Gardem goes beyond permitting Edward Feathers to live and die alone. 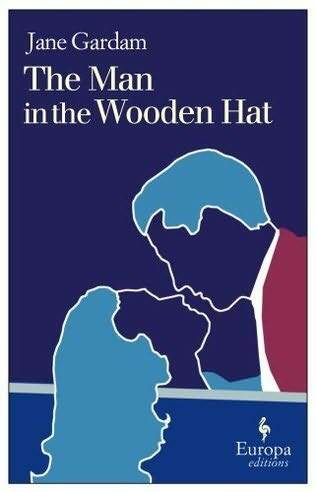 She returns to the scene in The Man in the Wooden Hat, and the scene to which she returns is not Betty’s death, but her marriage – to Old Filth. In this parallel-quel, Ms. Gardem recalls through Betty’s eyes every stage of Feathers’ life, events and people only hinted at and histories left unexplained by Old Filth. And, even though they knew each other briefly before wedding, their lives often had intersected beforehand and the intersections would continue to map their lives afterward. With counsel from her friend Isobel, a warning from Feathers’ oddly invisible colleague Albert Ross, and an inexplicable fascination with the very young son of Feathers’ adversary, Betty sets aside her doubts and proceeds to marry a man who, in the event, becomes her partner in life but, rarely, her lover, or rarer still, her intimate, and, never, the father of the children she had wanted. To say more would be to say too much. His story. Her story. And, before you have realized it, impressions of our own stories, not our marriages or love affairs or biographies, but of lives’ paths and decisions made young. Almost never do we perform the parts of the plays we have written for ourselves. These novels remind us that in all of our roles, the value of the play will not be revealed until the end. And, through her elegant skill, Jane Gardem graces every reader with literature that before one’s eyes has progressed from slender and gentle vignettes to reveal a magnificent, gripping, and rewarding story told in two novels. Old Filth, [Europa Editions, ISBN 978-1-933372-13-6, 2004, $14.95] and The Man in the Wooden Hat, [Europa Editions, ISBN 978-1-933372-89-1, 2009, $15.00], by Jane Gardem.